ONHP successfully undergone certification audit and received certificates of compliance with ISO 9001:2015 "Quality management systems. Requirements", ISO 14001:2015 "Environmental management systems. Requirements", OHSAS 18001:2007 "Occupational Health and Safety Management Systems. Requirements" standards requirements. Now ONHP is aiming at development and implementation of an integrated management system to meet new requirements of relevant international standards. ONHP Quality Management System (QMS) has been certified since 2004. Today it includes more than 150 organization standards and procedures. This system covers the design of hazardous industrial facilities, including general designer functions, engineering surveys for construction, field and construction supervision and development of measures to ensure industrial and fire safety. Recently, QMS has expanded to meet the demands of EPC-project implementation and covers procurement and construction as well. Stable presence at international markets requires ONHP to extend the area of quality management system coverage. 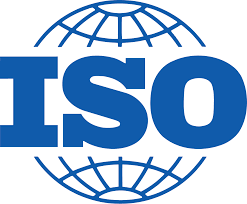 This year the company has been successfully certified with ISO 9001:2015, 14001:2015 and OHSAS 18001:2007 standards and now is aiming at further development and implementation of an integrated management system to meet new requirements of relevant international standards.